We hope these first few days (or weeks for some of our Coalition schools) have gone smoothly. The start of the school year is always an exciting time of transitions and opportunity! It also represents a reminder of the huge responsibility we bear as education leaders to ensure our students can grow and thrive. Not a day goes by where we are not reminded of the power of diversity and inclusion to shape a more just and equitable world. Which is why we are excited to do our part in strengthening our community and effecting change more broadly through our goals this year to Promote, Expand, and Support the work of our members. We are committed to creating more learning opportunities to cultivate connections across schools and organizations, forging deeper connections and facilitating shared learning. One important way we do this is via our convenings. Throughout the year, we convene our member schools, policy and practice thought leaders, and other charter leaders to foster cross-sharing and the exchange of ideas and best practices. We feature current and thought-provoking topics to challenge attendees’ assumptions, create opportunities to deepen existing connections and establish new ones and inspire sharing and learning of pertinent strategies. Our next convening is in Kansas City on October 19th. Will you join us? Register today! To our Member schools, please reach out to Elsa before registering! Finally, check out our website and our “Food for Thought” section below for inspiration, tools, and resources! 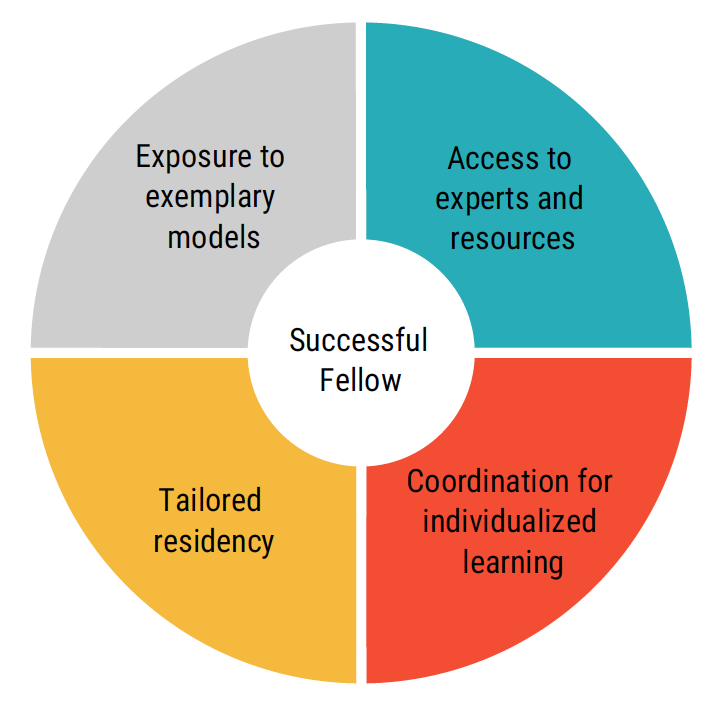 Finally, we kick off recruitment for Cohort Two Fellows in October. Email Ashley with names of Fellows and/or potential host site leaders you’d like to recommend. Sonia attended the NY-DFER selection season kick-off event and heard speaking remarks from State Senator Brian Benjamin, as well as Assemblyman and DNC Vice Chair Michael Blake. She spoke with DFER-NY State Director Nicole Brisbane and John Petry, DFER and Success Academies Board member. Sonia also participated in the all-day retreat for the NYC Department of Education “Diversity Advisory Group” to prioritize the set of recommendations that will be delivered to the Mayor and Chancellor. The goals of the DAG is focusing on actionable short and long-term integration goals for the NYC DOE. There continues to be healthy debate among the DAG on equity and access for all of NYC’s 1.1 million students. Sonia joined DCSC board member Rob Reed in honoring and celebrating the inaugural Honorees of the #BringTheFunk Awards. This event in DC honored Black charter school and congressional leaders that have done tremendous work in providing excellent school choice. Honorees included school leaders Donald Hense, Margaret Fortune, Tim King, Charlene Reid and Shantelle Wright. The event was hosted by Roland Martin, Education Reform Now, the National Alliance for Public Charter Schools, 100 Black Men of American of Washington DC and Prince George’s County, the Walton Family Foundation and The 74. City Garden is the FIRST charter school in Missouri to receive a 10-year charter renewal from the Missouri Department of Elementary and Secondary Education. In its ten years, City Garden has created one of the most integrated school communities in the city, as well as one of the highest achieving. The charter school provides an educational model that is now studied by educators regionally and nationally for its success in blending a Montessori curriculum with anti-bias, antiracism principles and practices, creating an innovative approach toward educational equity. Novelist Jewell Parker Rhodes and her husband Brad have been talking about race and discrimination since way before they became parents. Jewell’s black, and her husband is white. And as the mom of two biracial children, Jewell’s worked hard to make her kids aware of the reality of racism, while also instilling them with hope for change. But Jewell knows that not all families talk openly about these things, especially if they’re not forced into it by facing discrimination themselves. Jewell’s latest novel, Ghost Boys, is about a police shooting of an unarmed twelve-year-old black boy. In this podcast, Jewell talks about why she wrote this story for middle schoolers and why she’s counting on them to advance racial justice. To close achievement gaps nationally, education leaders must seek dramatically different and more complete approaches in low- and moderate-poverty schools. In 2017, Oak Foundation commissioned Public Impact to develop this report as a resource for district leaders nationwide facing such achievement gaps, based on a review of more than 150 studies conducted over the past 10 years. The report reviews the causes of achievement gaps and highlights research-based approaches to closing them. Importantly, we examined approaches that had evidence of boosting outcomes for disadvantaged students without reducing the availability of advanced instruction. RSVP and more details to come! September 25th in Washington, D.C.
To get to the bottom of The Opportunity Myth, we followed nearly 4,000 students in five diverse school systems to learn more about their experiences, collecting nearly 30,000 student surveys in real time during their lessons. What we found was unnerving: classroom after classroom filled with A and B students whose big goals for their lives are slipping further away each day, unbeknownst to them and their families-not because they can’t master challenging material, but because they’re rarely given a real chance to try. Teacher diversity works. Increasing the number of Black male educators in our nation’s teacher corps will improve education for all our students, especially for African-American boys.Today Black men represent only two percent of teachers nationwide. This is a national problem that demands a national response. Sonia Park and DC Public Charter School Board Deputy Director Naomi DeVeaux will be leading a panel on Diverse-by-Design schools. The National Summit on Education Reform convenes the nation’s leaders in education policy to share what works, what doesn’t and what’s next in education reform. Join our chairman, Governor Jeb Bush, as we host more than 1,000 legislators, state superintendents, policymakers, and advocates. The packed two-day event will feature notable keynote speakers and in-depth strategy sessions on evolving laws, new trends, successful policies and the latest innovations that are transforming education for the 21st century.